Buffleheads are very small ducks, about half the size of Mallards. I have found them to be difficult to photograph because of their size and colors. Females are gray brown with white patches on their cheeks. Males are white and black. In both sexes, the eyes are hard to distinguish from the dark areas surrounding them, unless there is good light, which is not always the case in winter. A few days ago, I went to the refuge on a cold and windy day. The marshes were mostly frozen and there were only several gulls and Buffleheads. There were also very few cars, and so I was able to zoom in closer on some female Buffleheads who were actively diving for food. 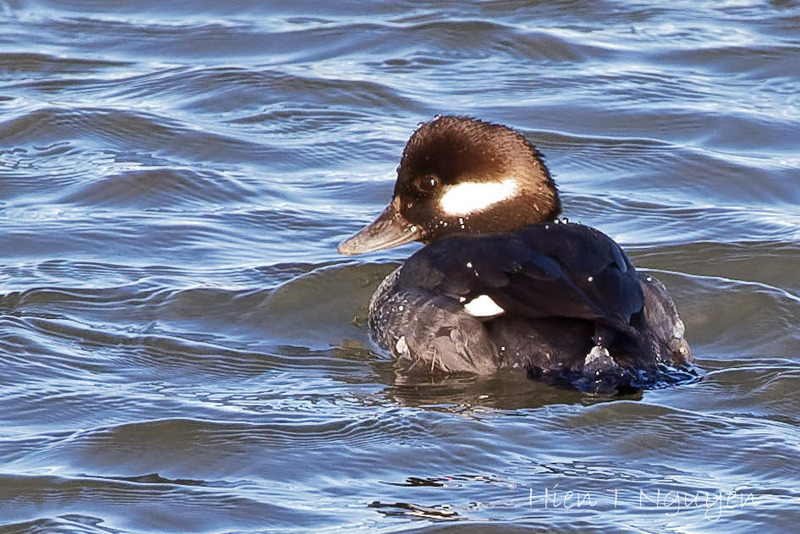 There was no male Bufflehead at EBF on that day. 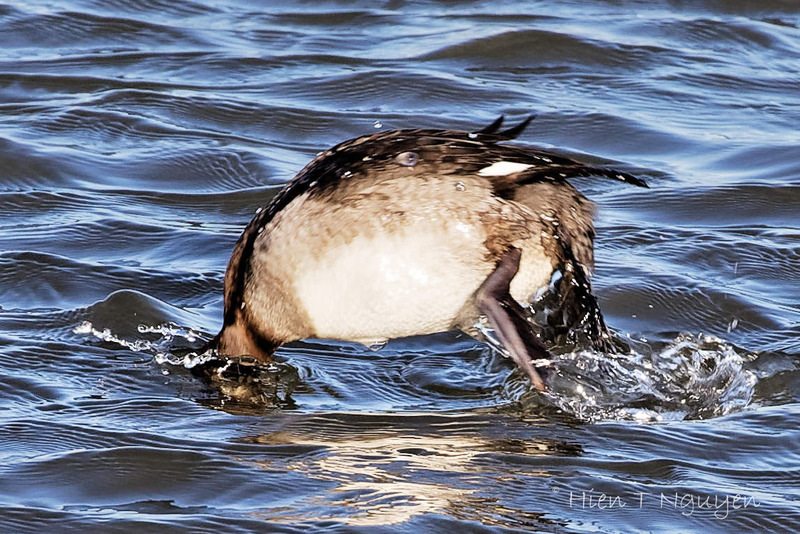 The following photo shows one taken a few days earlier near Barnegat Lighthouse. Here’s how the refuge looked on a cold day, when the highest temperature was well below freezing. I’m impressed that you are getting out in all weather! I love those Buffies! 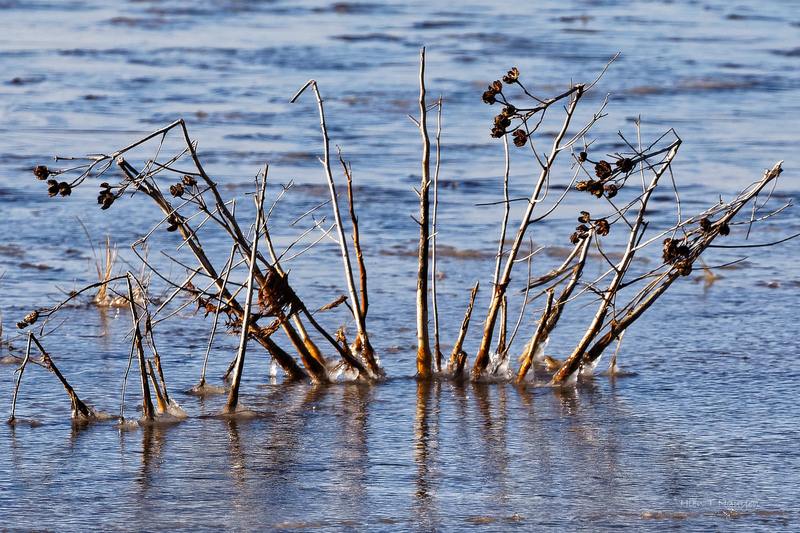 Lovely pictures of the birds and the cold marsh! It’s amazing that these small ducks act like the cold and ice are like nothing out of the ordinary. You are right of course. They are cute, even as they scurry around in all directions. Thank you Amy! Glad you like them. Yes Dries. Like Eliza says below, like Rubber Ducky. Kids would love to play with them! 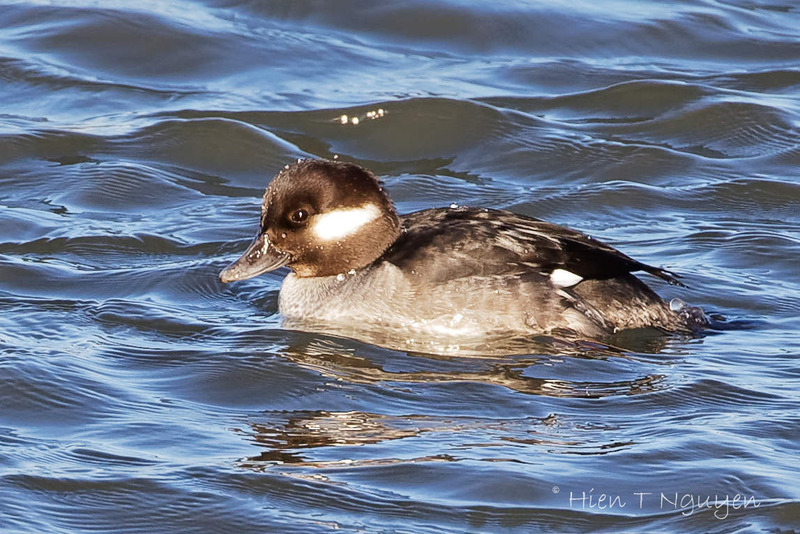 Wonderful captures and water lighting with the female Buffleheads, Hien! Of course, the male looks quite dapper himself. 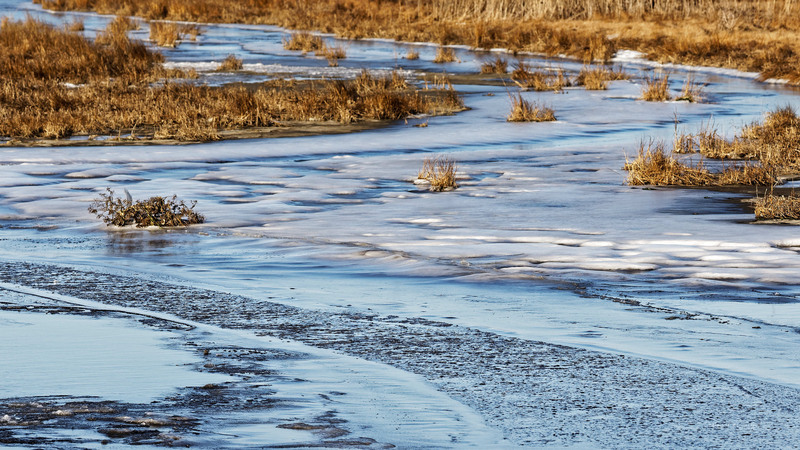 Your icy marsh photos are beautiful, the first one I love your composition! Thank you Donna. In a sense, it was good that there were practically no birds at the refuge. It forced me to be aware of the winter landscape. Certainly looks cold! These are sweet little ducks – the shape is similar to the bathtub toy ducks! Rubber Ducky sounds like a good nickname for Buffleheads. Thanks Eliza! 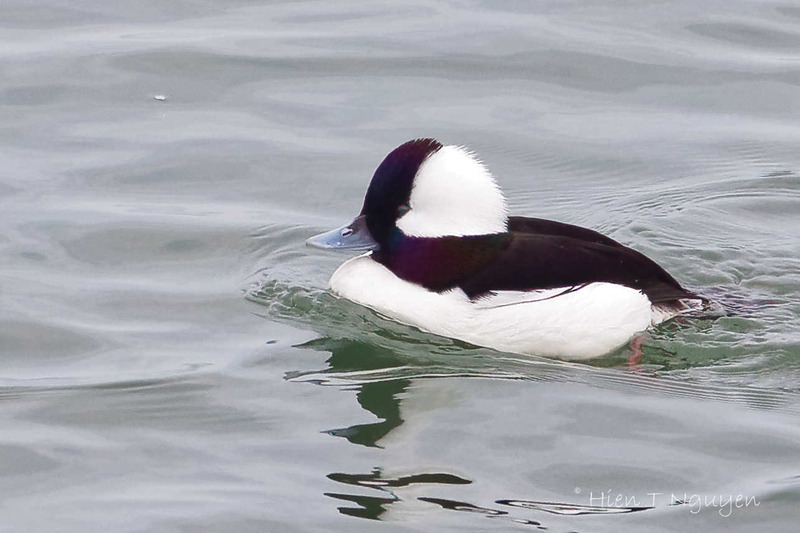 I love bufflehead, they’re just too cute, and I love your photos of them. I hope that you’re able to watch and photograph their courtship displays this spring. Jerry, I will follow your advice and watch out for them this spring! Thanks! Oh my, they are super cute and adorable – like having chubby cheek 😀 Great images!! One of America’s most endearing and beautiful ducks. You did a great job capturing them here, Hien. Have fun visiting a warmer California refuge this week, my friend. You are right! Oh , that made me laugh!